With so many different sports games on the Nintendo Switch, it’s hard to think of what sport hasn’t been covered yet? What with Football, Basketball, Tennis, Motorcross, Motor Racing and so much more, what could have been left out? Well about aerial sports? Hang gliding, sky diving, planes racing and jet packs are all on offer in Pilot Sports by Wild River Games. 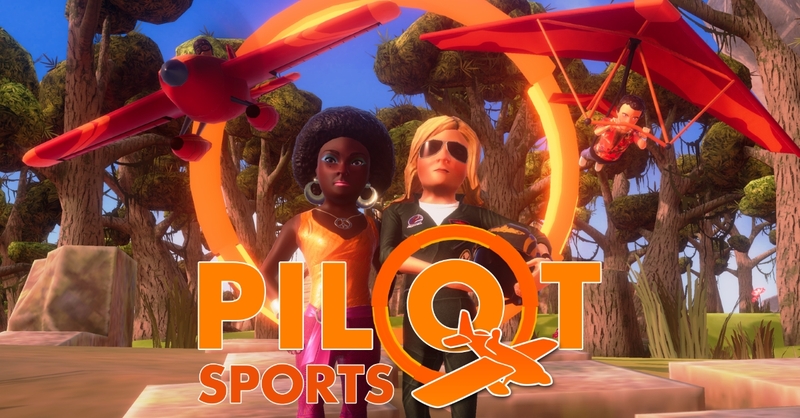 Pilot Sports is a cartoon arcade flight game with over 50 courses, 8 playable characters and 7 types of challenges. Take to the skies and show off your aerial prowess on your own or with friends in local 4-player splitsceen multiplayer. Pilotwings may have been long forgotten but Pilot Sports aims to soar in the heights where its predecessor once called home. You can find out more about the game along with an announcement trailer in the press release below. MUNICH, Sept. 18, 2018 – Pilot Sports, the colorful cartoony arcade flight game from Wild River and Z-Software, lands on Nintendo Switch and PlayStation 4 on Thursday, Oct. 4 2018.